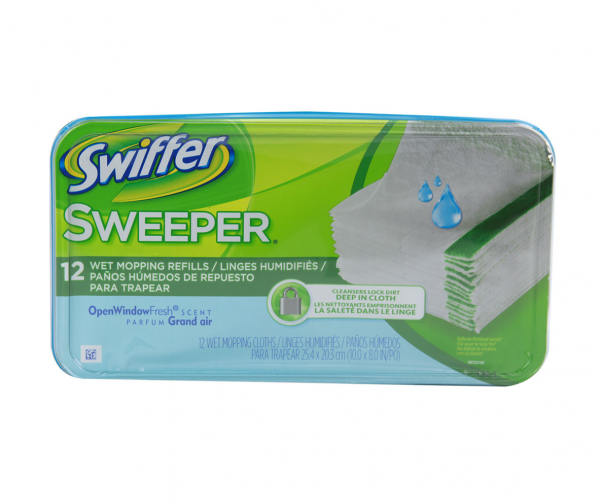 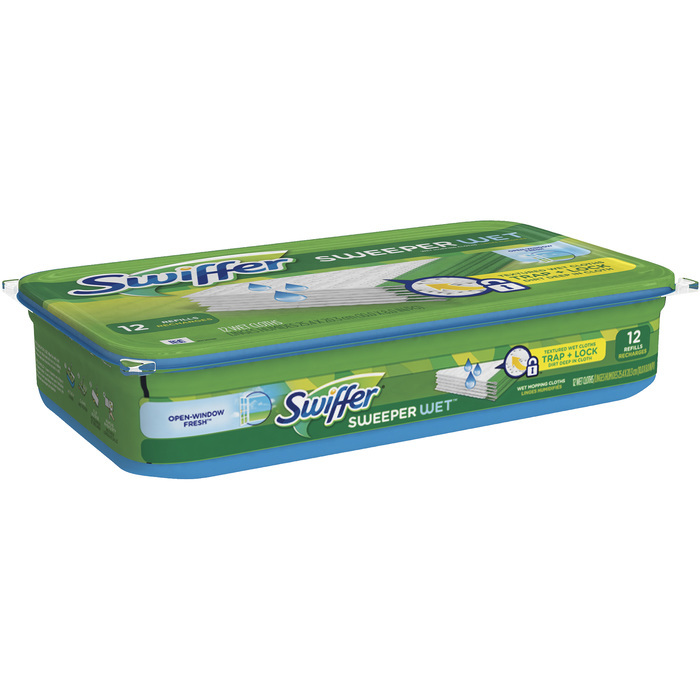 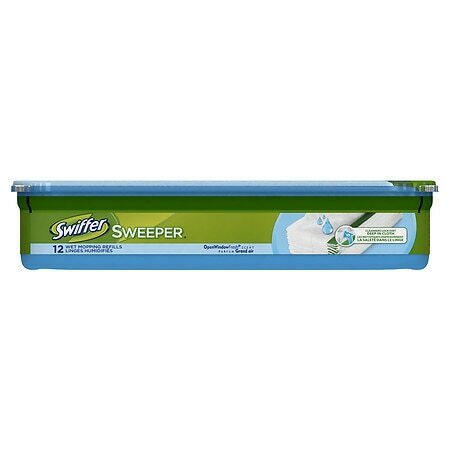 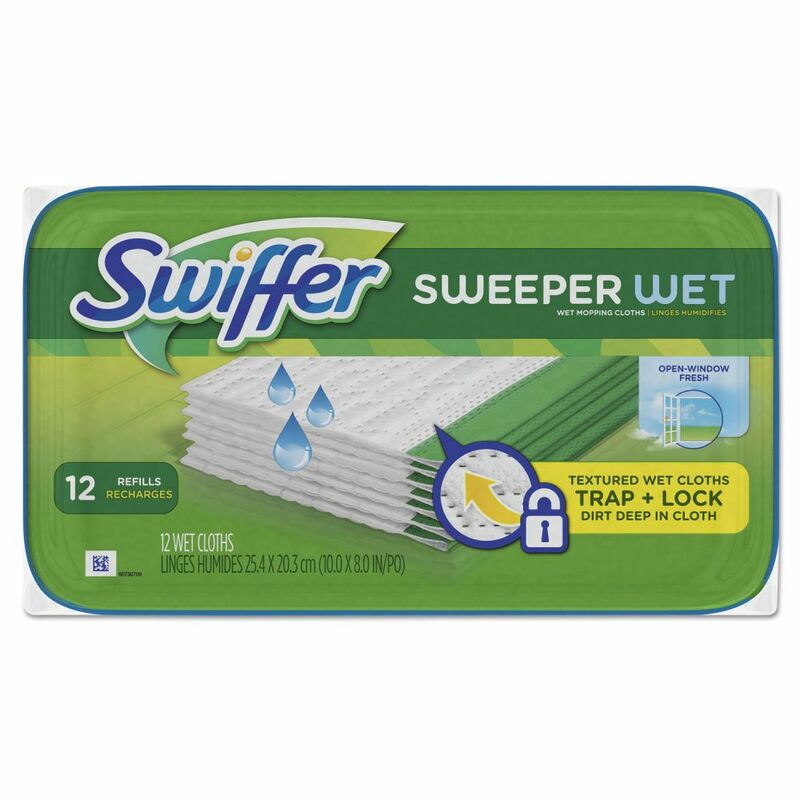 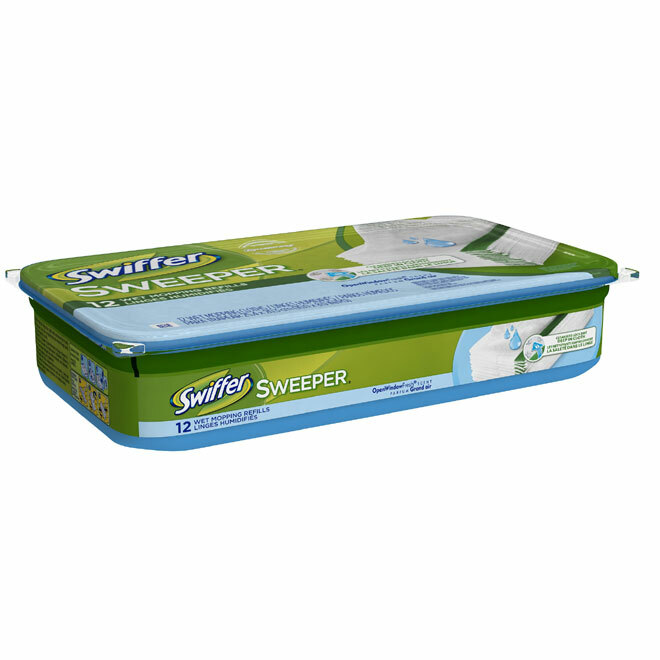 Premoistened cloths for 10 Swiffer Sweeper (PAG-09060). 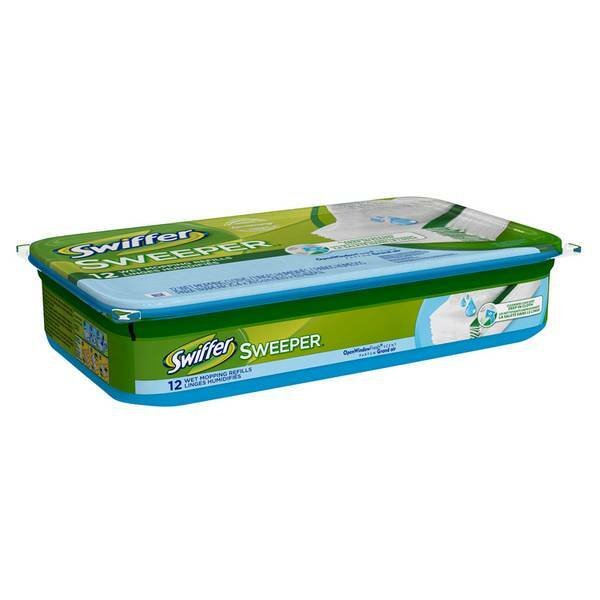 Safe for use on linoleum, vinyl, ceramic and finished wood floors. 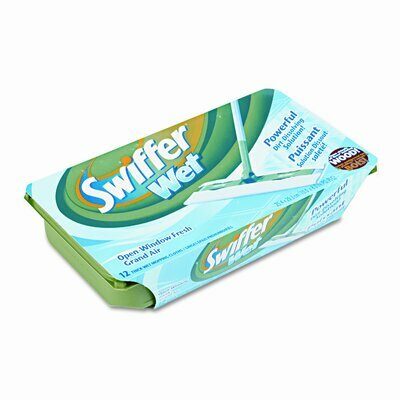 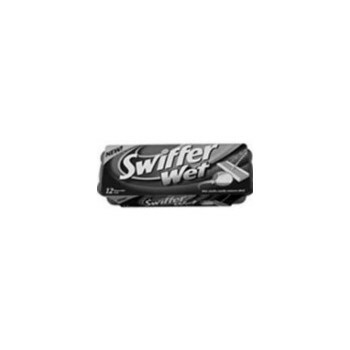 Wet Cloth Refills, Open Window Fresh Scent, 12-Ct.